Now that we’re officially heading into April, let’s get straight to the point: spring denim trends. I don’t know about you guys, but there’s nothing that quite captures the ease of the season for me as being able to throw on a silk cami and a go-to pair of jeans to grab coffee in the morning. Each season, I love scooping up a few new pairs, particularly in a few distinct washes or styles that are of the moment. Last spring and summer, I practically lived in my mom jeans and my cropped flares, perhaps you did too? This season, I have my eyes on a few trends that I think will be big in the coming months ahead. Added bonus: I found these all at Old Navy, making investing in a trend easy and affordable, so whether you’re headed to Coachella in a few weeks or just looking to update your blue jeans game, there’s a bit of something for everyone! Cropped straight leg: Basically whenever I see the word “cropped” in a jean description title, my ears perk up. If you have shorter legs like me, cropped jeans are basically your best friend and I love how common they’ve become in the market now. My go-to this season isn’t a skinny crop though, this year we’re all about a cropped straight leg, meaning it’s not hugging your ankle, but it’s not really flared out, like a cropped flare would be either. It should hit you right above your ankle (if it goes past, don’t worry, these jeans always look great if you take a pair of scissors to them yourself, which I’ve done on many occasions), and it should just ever so slightly widen out from the knee down, giving you essentially a very straight leg line. I find this style to be a bit more relaxed than it’s skinny jean counterpart and it looks great with all the kitten heels and mules we’re seeing these days. Little white denim jacket: Admittedly, I haven’t updated my denim jacket game in a while. I still have a perfectly worn, distressed denim jacket from Old Navy circa my college days that I love. But! 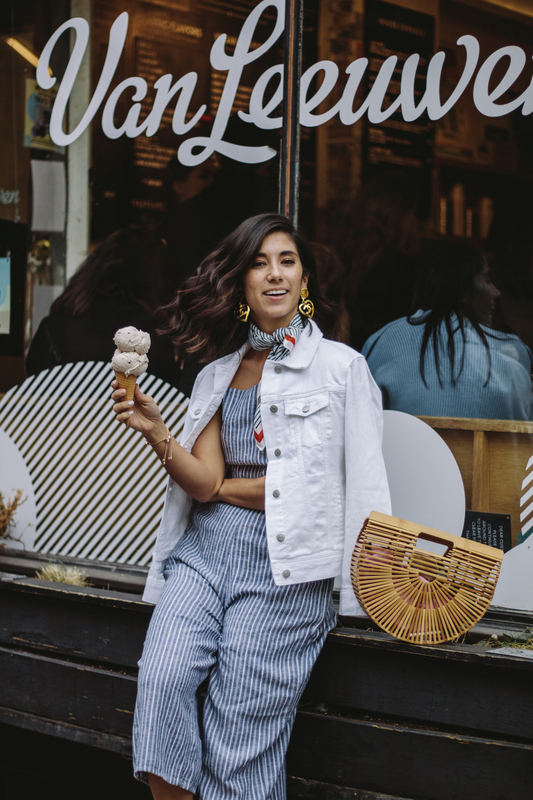 I’m excited to start mixing in a new little white denim jacket these days, which will look so fresh with breezy summer dresses and rompers, and even some of your darker and lighter rinse jeans alike, for a fun, refreshing take on double denim dressing. Dad jeans: Much like mom jeans, dad jeans have had a polarizing effect on some people, and I get that. Part of their cool factor is seemingly rested on the fact they don’t scream cool. And hey, I guess that’s cool, right? Regardless of how you feel about them, you can’t help but appreciate their comfort factor — relaxed throughout the hips and legs, slightly tapered at the ankle, but not too much and just ever so slightly high-waisted, making them easy to pair with blouses that need tucking. Personally, when denim trends like this come along and I just want to dabble in them, Old Navy is a great place to start! This particular pair would be perfect, if you snag it in the next size up from what you normally wear — slightly oversized is key here. 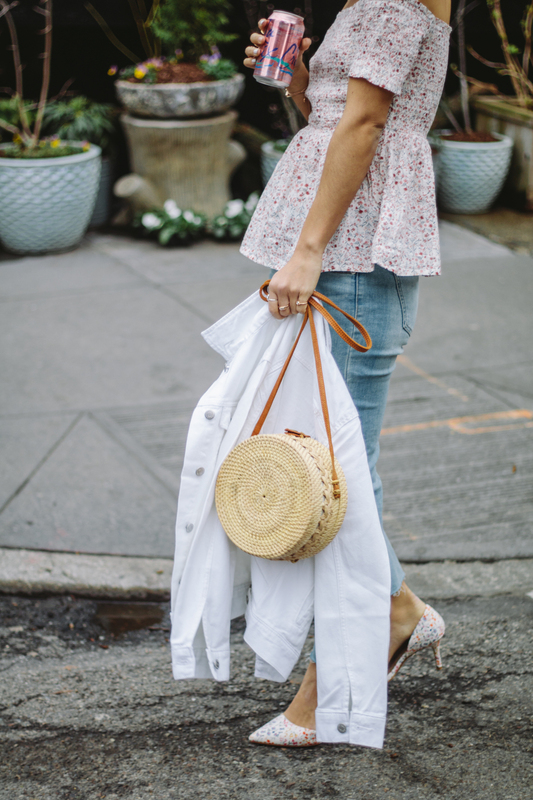 Cropped wide leg white jeans: Probably my favorite of the season, I love a good pair of white denim — crisp and fresh — for all the beach days ahead. This year, instead of grabbing the white skinnies though, pick up a pair of cropped wide legs for a slightly nautical-inspired look. Easy to dress up, with heels or daytime mules and dress down, with slip on slides, this is a pair that easily elevates your denim outfit without really trying. What spring denim trends are you guys excited for? Spill! This post was in collaboration with Old Navy. As always, all opinions and styling are my own. Thank you for supporting all This Time Tomorrow collaborations! 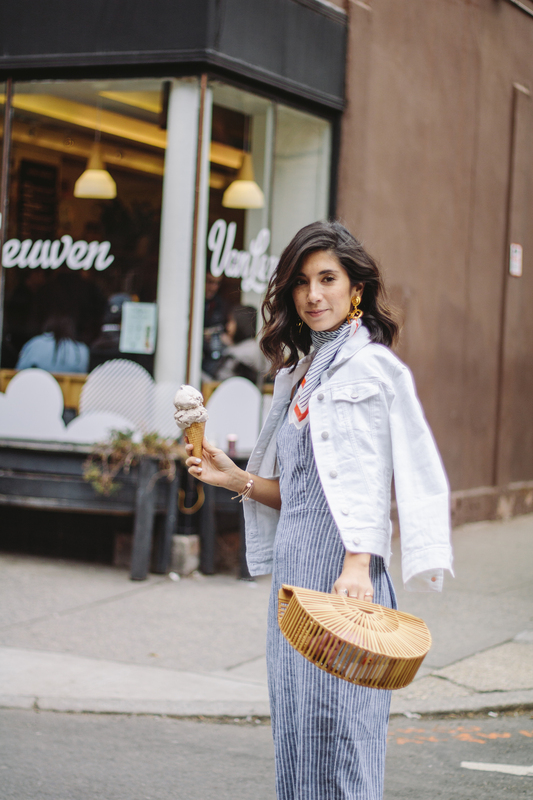 Style and denim, new york city, nyc, outfits, sponsored, spring denim trends, style, trends. Beautiful Summer looks … love ♥️ it! Just love that jumpsuit on you! Old Navy is seriously the best!! Love all the items you are wearing! This look is so sweet, so moderne vintage beautiful, and so cute!